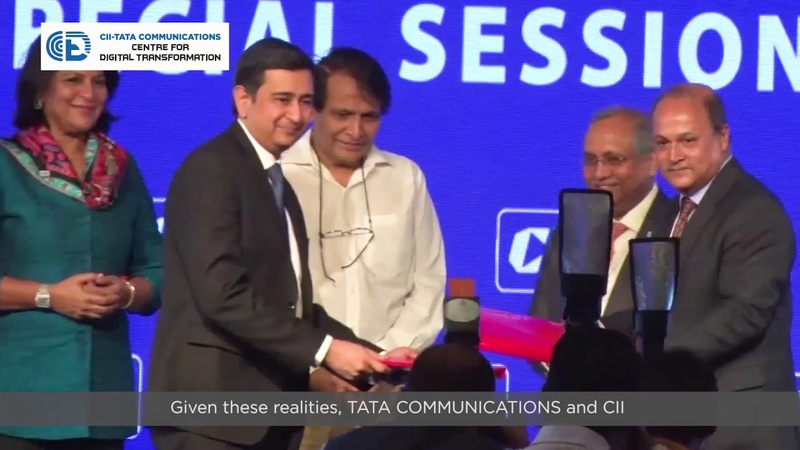 Leading Digital Business Transformation for India Inc.
'CII Annual Session 2019 was held on 4th-5th April in New Delhi with the theme 'India 5.0: India @75 and Beyond'. 'Centre for Digital Transformation conducted a Smart City Workshop on 16th Jan 2019 in New Delhi. The workshop saw an intriguing confluence of ideas from various stakeholders involved in the creation, development, and management of smart cities. CII is organizing the International Conference on Cyber Security on 7th June 2019 at Desire Hall, Le Meridien Hotel, New Delhi. CII is organising the 5th India Cyber Security Mission to Israel from June 23rd - June 27th June 2019. The first ever Governing Council Meeting was organized by CII on 22nd November 2018. CII in partnership with Government e-Marketplace (GeM) is organizing the 3rd Edition of CII National Public Procurement Conclave 2019 on 5th Dec in New Delhi. CDT will conduct a Cyber Security Training-Certification Program Associate Level 1.0 for professionals from 23rd-25th May 2019 in Gurugram. India Gaming Show was organized by CII on 5th Feb in New Delhi with the aim to create a platform for industry stakeholders from India and overseas, and to take the Indian Gaming Industry to the next level. CDT conducted a Cyber Security Training-Certification Program for professionals to help them understand the importance of Cyber Security and the tools to use on 11th March 2019 in Gurugram. First National Public Procurement Conclave (NPPC) for MSMEs was held on 30th and 31st of October 2018 in New Delhi with the aim to bring buyers and sellers on the same platform. AI India 2019 was planned as India’s first global trade show focused on AI. The 3-day extravaganza showcased case studies, research, applications, equipment, Next-Gen technologies and strategies from the world of Artificial Intelligence. Leverage our Buyer - Seller Platform to host RFPs, and connect with our certified Solution Providers. Join our Online Community to connect & share ideas, challenges, and best practices with Professionals. To be a Centre of Excellence of international repute that provides exemplary products and services for the continuous betterment of the organization, industries, and society through digital transformation.